Hello learners, this is an Intermediate level course on Google Actions, which will enhance your knowledge on building actions for Google Assistant. The course starts off with integrating your Google Action with the Firebase database and then you will be introduced to the various Node.js commands that will be of use in communicating with the Database. We will then make an extremely useful “Remembering Action” making use of the database to create a highly personalized experience for the users. Then we will move into creating a Guessing Game that will showcase many functionalities of Firebase Database and Dialogflow. 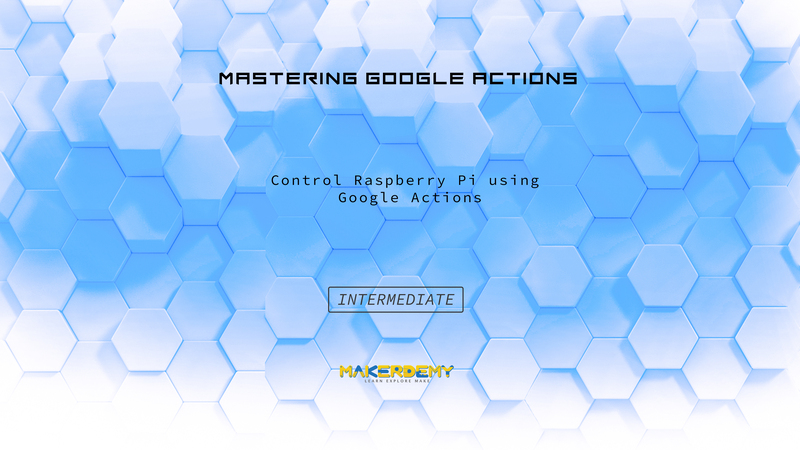 Finally we will control our Raspberry Pi using Google Assistant by making the Raspberry Pi as a server. The course gives detailed explanations for all the coding involved in developing these Actions and also has few projects that can help you to practice and master the concepts by yourself. While doing the projects and going through the course, feel free to ask your doubts on the Udemy discussion forum. You can bet on getting a response within one working day. Thank you and have a nice time learning.